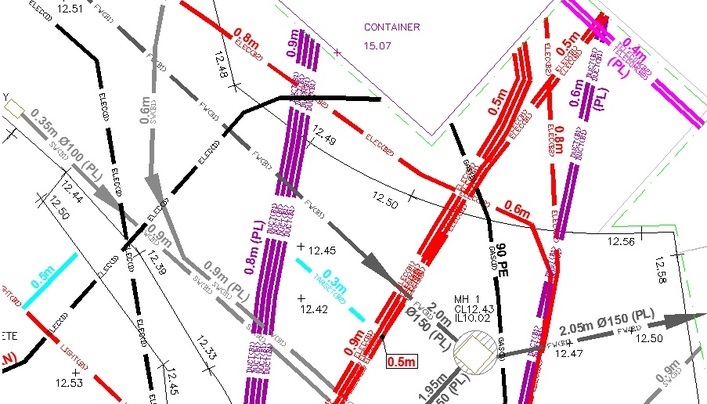 GEOTEC Surveys detect and accurately record the position, depth and route of buried services and utilities in line with PAS 128, Detection Level B, using GPR, Radio Frequency Detection (EML), Cover Lifting & Topographical Survey Techniques. This comprises Water, Power, Gas, Telecommunications, Fibre Optics, Drainage and other Sub-surface features such as Voiding and Obstructions including Foundations, Tanks and Concrete. 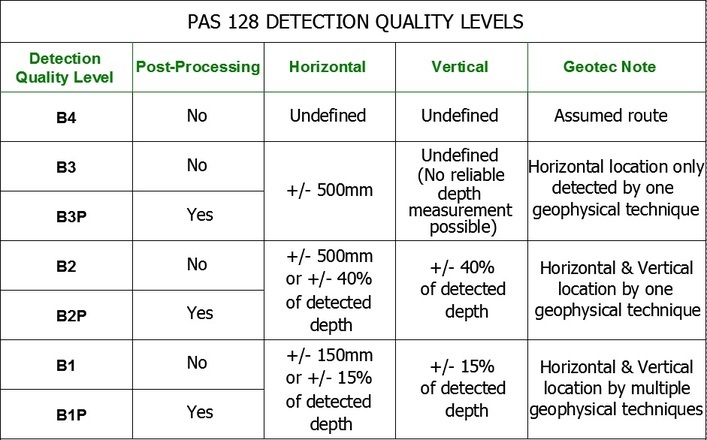 This can include a Manhole & Photograph Schedule, as well as the PAS 128 accompanying Survey Report. Our Experienced Surveyors are multi-trained in the on-site disciplines of Radio Frequency Services Tracing, GPR & Topographical Surveying as well as the office based functions of GPR data post processing, LSS & AutoCAD 2D & 3D.